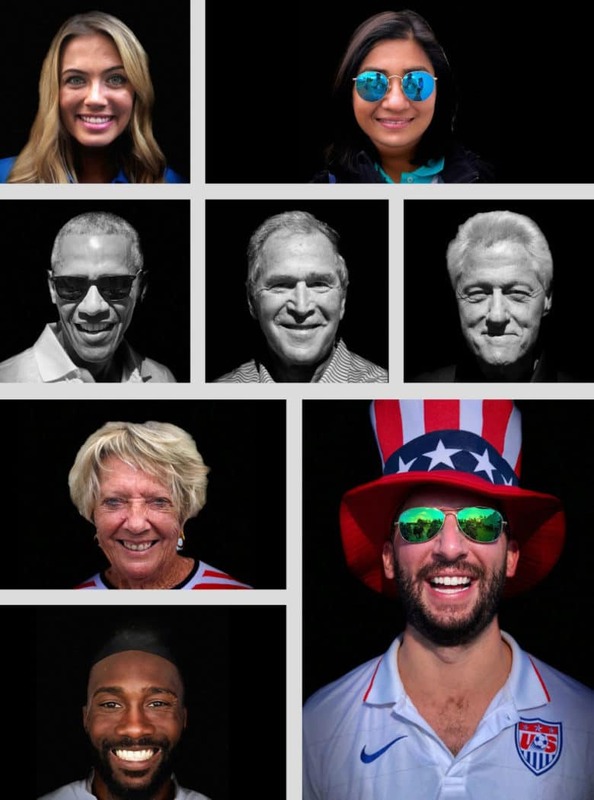 Some of the faces, including three former U.S. presidents, that Brad Mangin photographed at the Presidents Cup golf tournament. 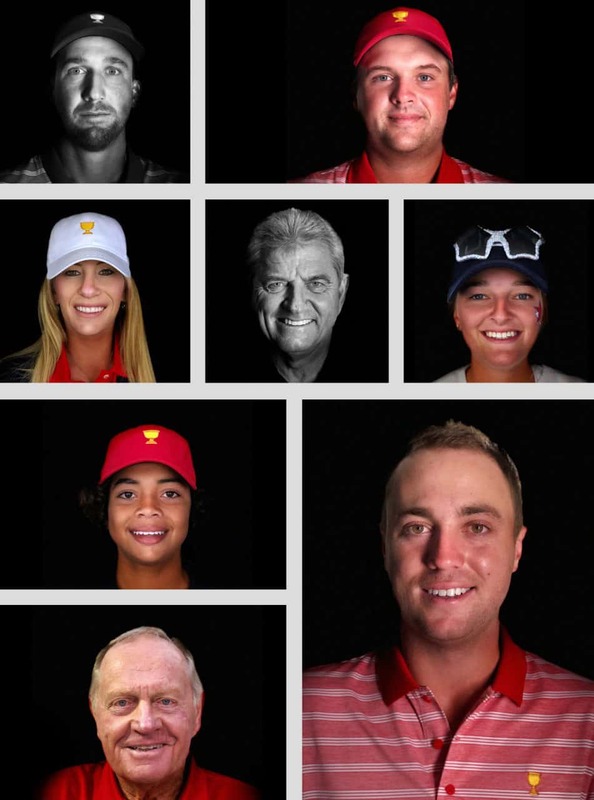 Brad Mangin and the iPhone 8 Plus scored an ace at this weekend’s Presidents Cup golf tournament, where the sports photographer shot more than 100 portraits for a beautiful gallery of pictures now on the PGA Tour’s website. The PGA TOUR arranged with Apple to give Mangin an iPhone 8 Plus loaded with a beta version of the new Studio Lighting feature. 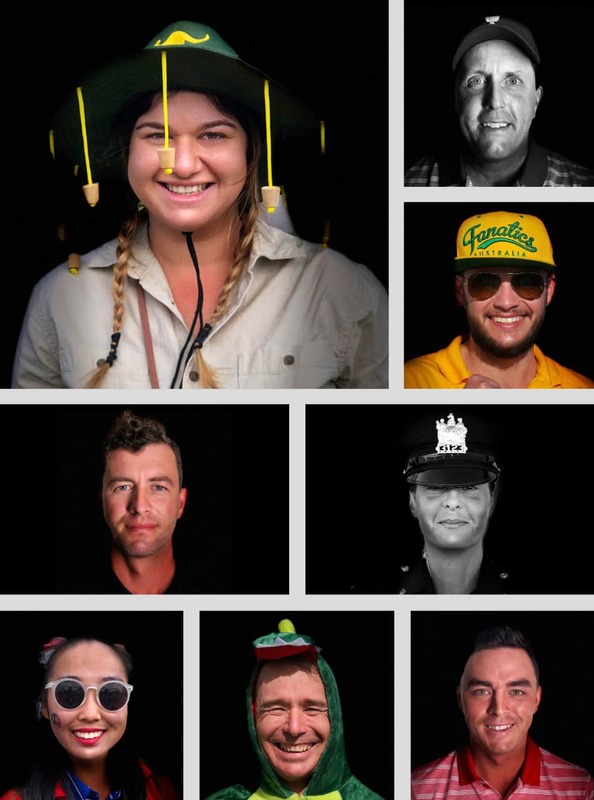 Over a week of very long days, Mangin photographed players and their wives and girlfriends. He then photographed some of golf’s elder statesmen, like Jack Nicklaus and Gary Player, before moving on to fans, groundskeepers, security guards – anyone who looked interesting to Mangin. He also corralled three former U.S. presidents for the series. All of the photos were styled with the stage light setting, which blacks out the background to make the subject pop. Check out the PGA Tour website or Mangin’s Instagram feed to view his work. Mangin was like a golfer given a new club and no time to practice. He flew into New Jersey, where he met with a representative from Apple to pick up the new handset and receive a brief tutorial. From there, he headed to a media event where he would begin with portraits of the participating golfers. Mangin made more than 100 portraits over the course of the week. Mangin said the players and wives were particularly interested in seeing how the stage lighting effect worked. Brad Mangin, right, shows Paulina Gretzky his iPhone portraits of her. When Apple showed off the new Studio Lighting feature at its September iPhone X launch, the company boasted it would be like having a studio in your pocket. While Mangin’s end result lived up to that billing, the effect does not give every photo the appearance it was lit in the studio. He also learned that the stage lighting blackout works best with a busy background. “I found certain things worked better than others,” he said. “The worse the background, the better. It tends to freak out and not look good when the background is white or the person is wearing white. Fans, cops and groundskeepers posed for Mangin’s iPhone 8 Plus. Mangin has been a sports photographer for more than 30 years, with many images gracing the pages and covers of Sports Illustrated. When Mangin got his first iPhone, an iPhone 4s, he mixed pictures and sports while at spring training. His baseball work eventually led to a spread in Sports Illustrated and a book. As assignments for freelance photographers began to dry up, Mangin’s career found new life because of his iPhone work. The PGA TOUR hired him to work one tournament with the TOUR’s social media team earlier this year. Since then, the association has flown him all over the country to work several other tournaments, all with his iPhone.